It’s been my pleasure working with Essential Green since its conception. We use your products here at The Landings Yacht Golf & Tennis Club with great confidence. Your knowledge and approach to plant nutrition have been a valuable asset to my both my greens and fairway programs. Using your products has improved both the quality of our turf and our overall playing conditions. I particularly like the fact that you add no nitrogen to your products. We get the great color were looking for and can better control how much nitrogen is provided to the plant, especially on our greens. Mike, thank you again for your great products and support! The Club Pelican Bay has been using Essential Green (Mike Griffith’s) products for three years. I respect Mike’s unique approach to plant nutrition. Monthly applications of Essential Green Fairway helps keep our fairway turfgrass dense and with great color without a flush of growth. Full Spectrum Maxx has been part of our greens fertilization program for over two years. We see the same results on greens as we did on fairways, great color, and no significant flush of growth. These products continue to perform well and provide our turfgrass with a sprayable product which has plant root uptake. The Club also uses Essential Greens products CalKelp, Sweet K, and Black Gold. 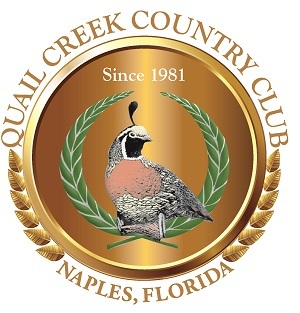 These newly formulated products make for ease of application and still provide the same outstanding performance The Club at Pelican Bay demands. Essential Green is not only local, but Mike Griffith, President, has been actively involved in all aspects of golf. He has served on the board for the Everglades Golf Course Superintendents Chapter and was involved in raising tens of thousands of dollars with the FTGA fishing tournament that he was involved in its inception. Mike has always supported our industry and I urge you to show some support for not only a valued peer, but let’ show some support for a local business. I have been using Mike’s products since I came to Quail Creek CC. Not only do we use these products on tees, greens and fairways, but we utilized it during our grow-ins with great success. The low use rates provide the color and density my members and myself demand at Quail Creek Country Club. The ease of application makes these products the perfect solution for the best use of our labor and budget resources. Hideaway Beach has been using Essential Green products on our golf course for 3 years now and we could not be more pleased. Their products make our course “GLOW.” We use Ensemble on our Fairways, and a greens program especially designed for us. To say that our membership has never been happier would be an understatement. The root uptake than occurs with their products work so well in hot, cold, dry and wet conditions and we would recommend everyone make their “Turf Great Again” with Essential Green plant nutrition.